Thinking about buying your next car from Northern Ireland? It’s no secret that Britain’s exit from the European Union is not going smoothly. With negotiations stalling and uncertainty at its peak the value of the £ has weakened considerably against the Euro in recent weeks. This however presents a unique opportunity to folks in the Republic of Ireland buying goods North of the border with car buyers in particular standing to make the biggest savings. Even withstanding import duty Republic of Ireland car buyers could save thousands and without sacrificing specification or manufacturer’s warranty. At John Mulholland Motors we have exported vehicles to hundreds of happy customers in the Republic of Ireland and we can help guide you through the entire process. The entire buying process can be completed within a single visit and we accept all part exchanges. So how do you import a car from Northern Ireland into the Republic of Ireland and what costs are involved? The main thing to consider is VRT (Vehicle Registration Tax). You will be required to pay this and have the vehicle inspected at a NCT test centre. The rate of tax due is different for every vehicle and based largely on market value and emissions. A VRT calculator can be found on the Irish Tax and Customs website and will allow you to find out how much would be due on any given vehicle. You should also be aware of the differences between considering New and Used vehicles. 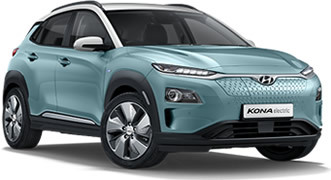 When buying a brand-new vehicle from Northern Ireland the UK VAT amount (20%) will be refunded to you once the vehicle has been registered in the Republic of Ireland. You will then be required to pay Irish VAT at 23% plus the VRT. The most significant new car savings are when buying a vehicle with lower CO2 emissions (see examples further down). For the purposes of Importing a vehicle into the Republic of Ireland, a car is still considered to be “a NEW means of transport” if it is less than 6 months old, or it has covered less than 6,000 km’s. The majority of our cars in this category will be treated exactly the same as a brand-new cars (above), since they are “VAT Qualifying”. This is the same for both private individuals and VAT registered businesses in the Republic of Ireland. For any cars that are over 6 months old, or they have more than 6,000 km’s on the clock, these will all be treated as USED cars when importing to the Republic of Ireland. For private individuals you won’t need to worry about VAT whatsoever. This is actually ideal in most cases as you can pick up a nearly-new car and save on the majority of the initial depreciation. VRT would then be paid at the point of import. For VAT registered businesses, the only difference is when the car is “VAT Qualifying”. In this case the VAT is treated the same as with a brand-new car above. Irish VAT @ 23% plus VRT would then be paid at the point of import. What happens next and are there any other costs? When your vehicle has been processed by the NCT test centre you will need to pay your annual Motor Tax. This is no different to any other vehicle registered in the Republic of Ireland. Will the manufactures warranty still be valid? Yes, the remaining warranty from new will still be valid after exporting into the Republic of Ireland however the rules differ between manufacturer. Hyundai – 5 Year Unlimited Mileage Pan-European warranty. This means the warranty is equally valid on both sides of the border. Ford – 3 Year 60,000 mile warranty. 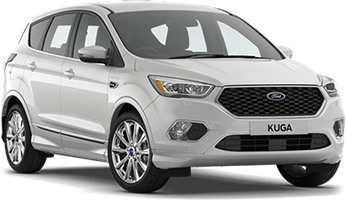 Interestingly Republic of Ireland Ford dealers only offer a 2 Year Warranty so if something goes wrong in the 3rd year just bring it back over the border to a Ford Service Centre and take advantage of that extra year’s cover. 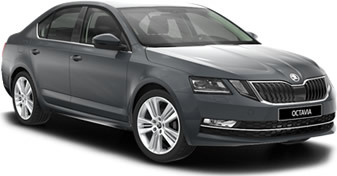 Skoda – 3 Year Warranty. Unlimited mileage for the first 2 years and then up to 60,000 miles for the 3rd year. All other brands including any vehicles out of manufacturer warranty come with a universal 6 Month Warranty which starts from the date of delivery. This warranty is equally valid both North and South of the border. To give you an idea of the savings available let’s take a look at a selection of cars across our 3 brands plus 1 of our non-franchise brands. We’ll also compare small cheaper cars with larger more expensive examples as well as New and Used. Additional temporary deposit required of £4,541.67 (UK VAT equivalent) Refunded once VRT paid. + the equivalent car bought in the south will not have all wheel drive, panoramic sunroof or driver assistance pack so you get more spec for less. Why choose John Mulholland Motors? We are an independent family run business with years of experience selling cars to southern customers and can guide you through the export process. This leaves you to concentrate on finding the right car whilst safe in the knowledge you're getting a great deal. Our commitment to customer service is second-to-none having recently be awarded; Irish Family Business of the Year, Irish News: Team of the Year and 3 times UK Skoda Retailer of the Year. John Mulholland Motors are located in Randalstown County Antrim (20 mins north of Belfast) and Campsie which is 10 minutes from Derry City, close to the Donegal border. If you need any help on how best to get to either of our showrooms via public transport or if you need directions just give us a call and we will guide you in. If you are intending to drive your new car home, we can arrange to collect you from any of our local train or bus stations. If you are still unsure about the import process or want to find out more about any of our vehicles please get in touch and a member of our team will be happy to assist. *Please note that whilst every effort has been made to provide you with accurate figures for VRT, rates can be subject to change and therefore should be considered as estimates. At the time of publication, the Euro to Sterling exchange rate was 0.90.